I had a lot of interest in my blog post on Wearable Learning last week, as well as a number of questions on how I saw wearables fitting into the learning ecosystem. So I decided to draw a picture – which I’ve posted below. The point I want to emphasize (which I probably didn’t do last week) is that wearables (such as Google Glass, smart watches and smart jewellery) are personal tools for personal productivity and in-the-moment learning (what we might call learningwear), rather than another set of devices to which organizations need to deliver courseware. In fact, their strength for organisations lies in their use as personal performance support tools, e.g. for notifications and for on-the-spot, just-in-time learning. This image can be re-used provided full attribution is provided. In the modern workplace, all three of these elements are going to become equally important. For more information, advice and app development in the use of wearables for personal and business performance, visit our new Advanced Performance Technology website, or follow us on Twitter @AdvPerfTech If you are interested in the personal use of wearables as learningwear, then follow @LearningWear. this makes sense – and for folks whose objectives include changing “traditional” training models in large organizations, it provides context for figuring out the appropriate role of wearables in L&D’s future workplace learning plans. Surely tablets can also be used for eLearning & can be mobile? So there is an overlap between the 2 ? 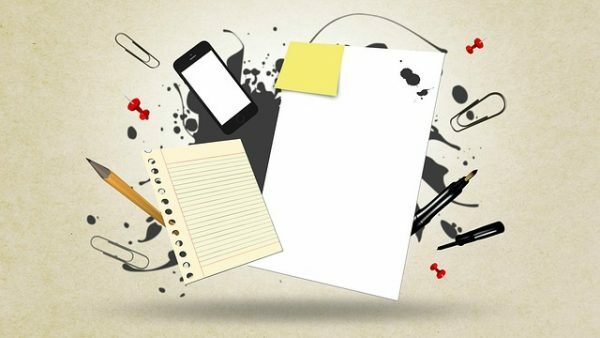 I think most people understand/use the term m-learning as e-learning on mobile devices, so that’s how I was using it here. Though, to be fair, tablets, laptops, and desktops can also be used for Performance Support and personal learning. Still, this does nicely exclude courseware from phones on down. What’s the vertical dimension? 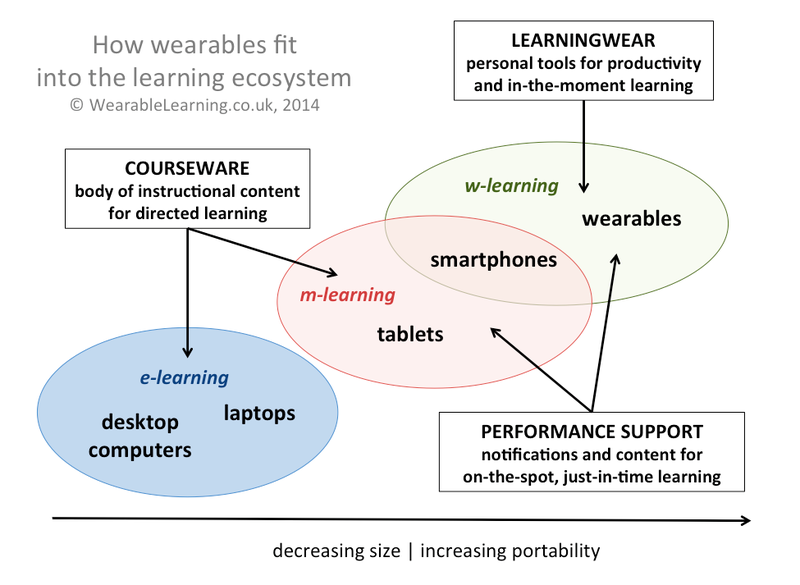 Neat Venn from @c4lpt showing how wearables fit into learning ecosystem: http://t.co/xUaBfDU5HV < Best opp yet for contextualised support.